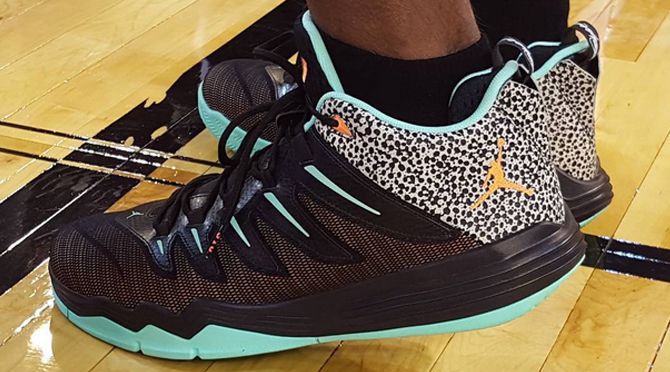 Is This Chris Paul's Next Air Jordan Signature Shoe? Chris Paul's recent on-feet preview of the upcoming Air Jordan 6 Low "Black/Metallic" isn't the only notable one to hit this week. While still in Africa for an exhibition game, Paul was spotted wearing this pair of Jordans. The sneaker has never been seen before, and as the overall shape fits in with the rest of Paul's line, it's entirely possible that this is a first look at the Jordan CP3.9. If that is the case, Sole Collector will provide Jordan release date info on when to expect this sneaker at retailers as it becomes available.